Bring home your very own robot dinosaur best friend! It�s up to you to build it, program it, and interact with it however you wish. 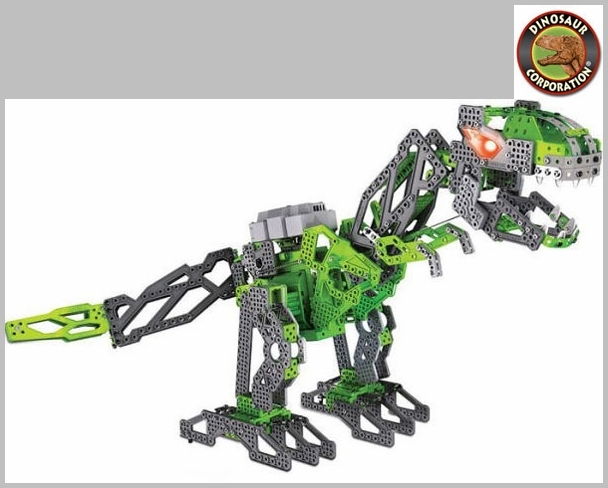 This programmable robotic dinosaur is an impressive 3 feet long! 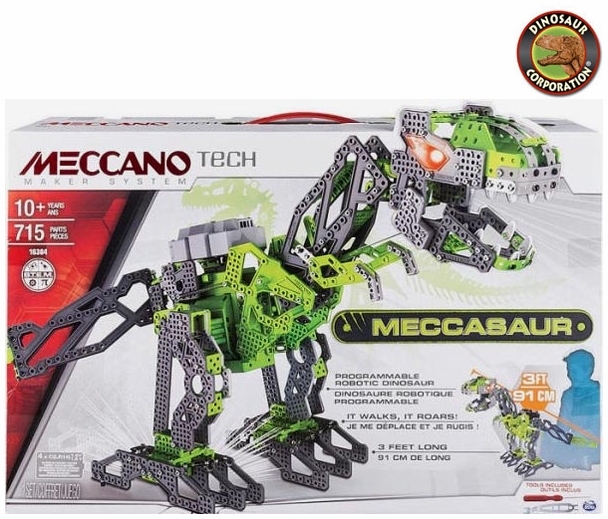 Built from both metal and space age plastics, the Meccano Meccasaur is a real-life walking T-Rex with realistic behaviour and a fun sense of humor. Meccasaur roars, responds to petting, guards and attacks, answers yes or no, and features real stomping action. Meccasaur is your favorite ferocious dino brought to life! * Requires 4 C batteries not included.